I did a little Spring cleaning to my makeup collection and it resulted in a whole box of rarely used makeup. Usually when I do a little inventory check, I could barely let go of an itty-bitty-almost-finished lipstick. This time around, I felt the need to purge...it may or may not have been because I watched The Purge: Election Year last week. I did not hold back and may have ditched 25% of my makeup collection. Becca Aqua Luminous Perfecting Foundation | This is such a pretty foundation. I love that the coverage isn't too full, but it's good enough to hide any minor imperfections. Though the luminosity isn't as strong as the name suggests, I do find that it does give me a nice 'lit from within' type of glow. One thing that does put me off of this foundation it the packaging. I feel like it's just too extra. It's a dropper. I would of been satisfied with a normal pump. EX1 Invisiwear Foundation | Of course I couldn't let this one go. If you've read my blog long enough, you probably realized how much I love this foundation already as I've mentioned it numerous times. It has amazing coverage and the shade selection is perfect, especially for people with olive undertones. The packaging it amazing as it makes it hard to waste any product. Too Faced Born This Way Foundation | I have a love/hate relationship with this foundation. It's perfect for me in the Wintertime, but I will never dare to pull it out during the warmer months. Reason being it gets me looking oily in a short amount of time & I don't normally have oily skin. I find that really odd. So when the Winter dryness rolls around and my skin goes very dry, this is my go-to foundation. Maybelline Fit Me Matte+Poreless Foundation | I just noticed that this is the only drugstore foundation that survived my purge. And it's also my favourite drugstore foundation of all time. Whenever I wear this, my foundation just looks so, so good. It has the perfect coverage, never looks cakey, applies so smoothly. I just can't get enough of this one. 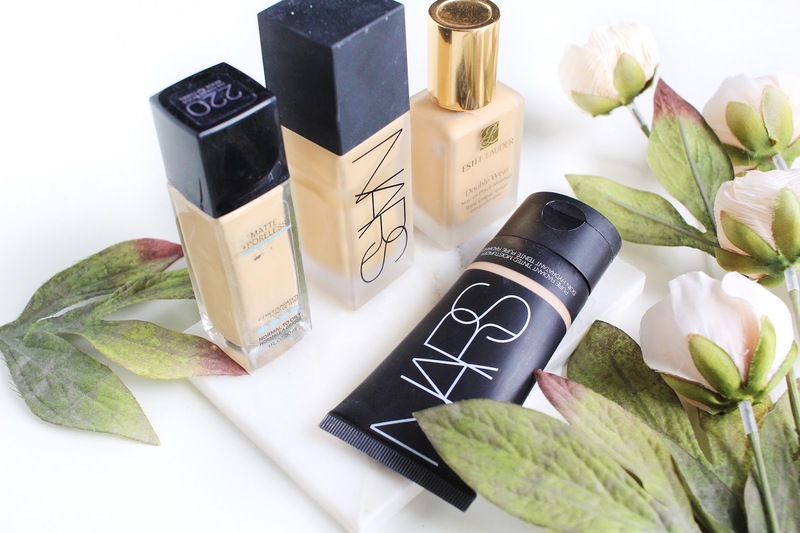 NARS All Day Luminous Weightless Foundation | I find this to be super similar to the Becca foundation. It has a decent amount of coverage and the luminosity factor is a healthy glow. Again, I have to complain about the packaging. This has to be the messiest out of my collection. It doesn't have a pump and at the same time it's a really runny consistency. I can't begin to tell you how many times this has gotten everywhere on my vanity. Nonetheless, it's still a good foundation. Estee Lauder Double Wear Foundation | This is probably the thickest and most full coverage foundation out of the bunch. But believe what you see on the internet because this foundation is a good one. If you're looking for a super full coverage foundation that makes you look flawless, this is the one to get. I like to apply it with a beautyblender so it doesn't feel as thick on the skin compared to when using a brush. 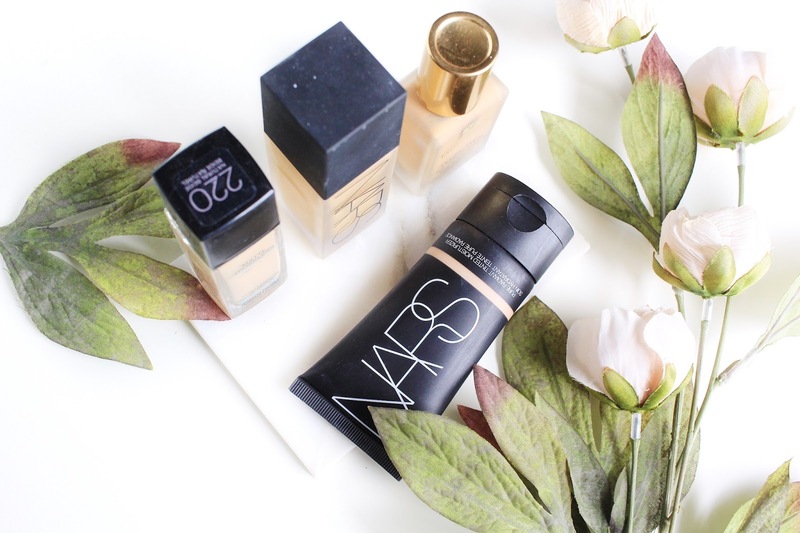 NARS Pure Radiant Tinted Moisturizer | This is a go-to of mine during the Summer. It's such a lightweight foundation but still gives you a little coverage. So perfect for those hot days when you don't feel like piling on the cake or on those no-makeup makeup days. 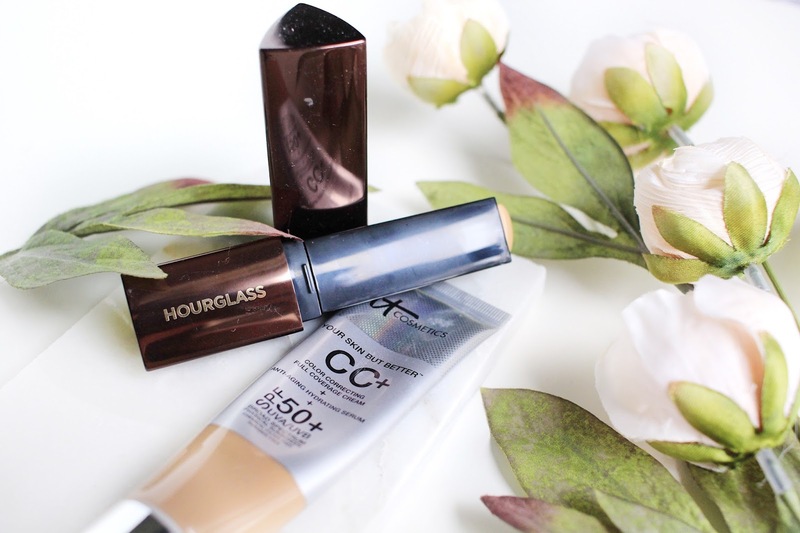 Hourglass Vanish Seamless Finish Foundation Stick | I have been using this non-stop lately. It's the first foundation stick I've tried and I was blown away. I don't think I'll be looking for a new one any time soon. I have to say that this one gives a pretty full coverage look. Also, I love how compact it is, making it easy to travel with. IT Cosmetics CC+ Cream | Whenever I travel to somewhere I know I'm going to get a lot of sun, I bring this gem with me. I bought it in Florida in a darker shade because I got a helluva tan, so this comes out whenever that happens. I seriously am in love with the packaging. I mean it's a squeeze tube with a pump! I love it. Also, the coverage is amazing and applying it is a breeze. I need to repurchase this in my regular skintone shade because it's just that great. 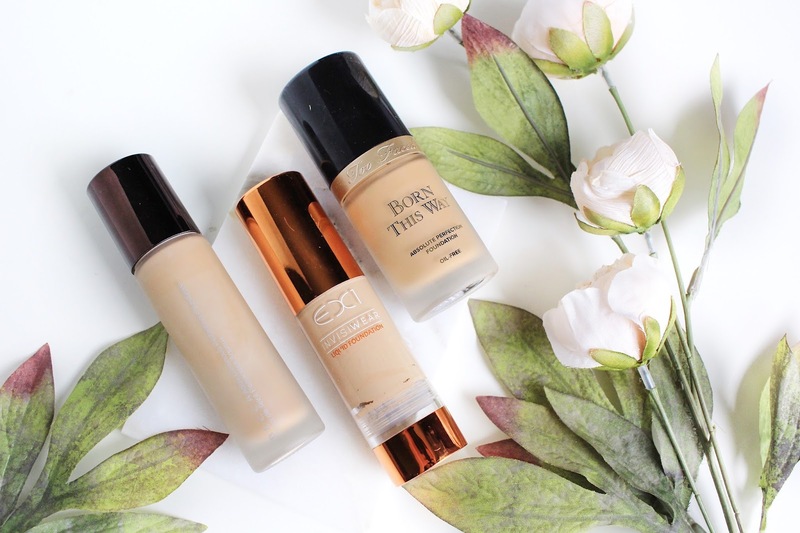 Which foundations can you never let go of? Any foundations you've thrown out recently? Life & Blog Update | Where Have I Been?